How are you, hope your week is going well and you are getting in some stitching time? Many of you have emailed stating that you cannot find some of the thread numbers for the new embroidery pattern: Tuscan landscape, so I thought it was time I introduced you to the new shades in the DMC floss range. These shades are DMC floss colours Number 1 – 35 that were released last year. They are now readily available and most needlework shops should have stock of them you can find more information on the DMC site. There are some gorgeous new vibrant colours that I plan to use in many future patterns so stock up!! Image courtesy of Stitched Modern. And lots more info in the Help & Support center. The Iron on transfer is an optional extra to go with the PDF pattern. This will need to be shipped to you. For some patterns there is also an option to purchase the printed booklet of the pattern – this will also be shipped. If you are not sure please check your order receipt to make sure you are getting exactly what you ordered – we are always happy to help so please email us using the contact form on the site and someone will get right back to you. 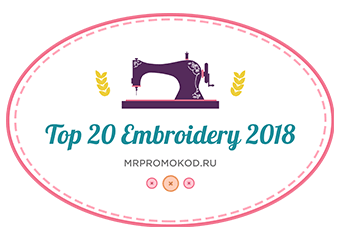 There are over 100 PDF patterns to choose from on the site – either Needlepainting, Whitework with colour or Tutorials , you can find them under EMBROIDERY SHOP – DIGITAL PDF PATTERNS. Till next time wherever you are in the world, keep smiling and happy stitching ! I am a designer, author and teacher of hand embroidery, from Cape Town, South Africa. Go to my Embroidery Shop for PDF patterns and materials.